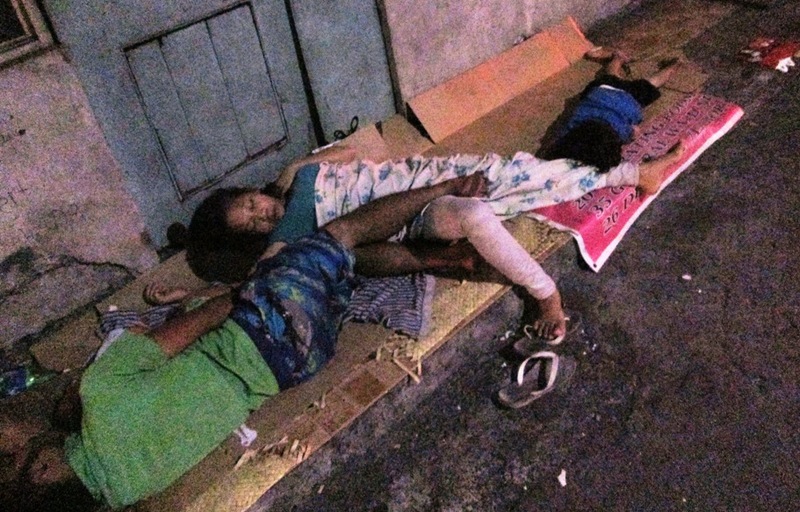 Vitaliano Aguirre calls drug addicts, ‘not-humanity’ and says it is therefore ‘OK’ to murder them. 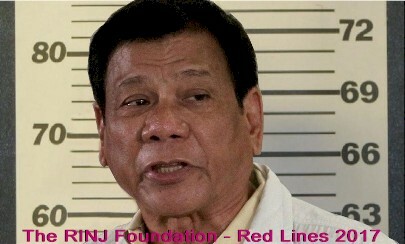 The comment adds to The RINJ Foundation’s complaint against the Duterte government of ‘crimes against humanity’ as set out in the Rome Statute of the International Criminal Court. The top 12 alleged criminals charged April 24, 2017 in the International Criminal Court are as follows. If you smoked a ‘joint’, you are not human. That’s the PH Justice Minister. He can have you killed. 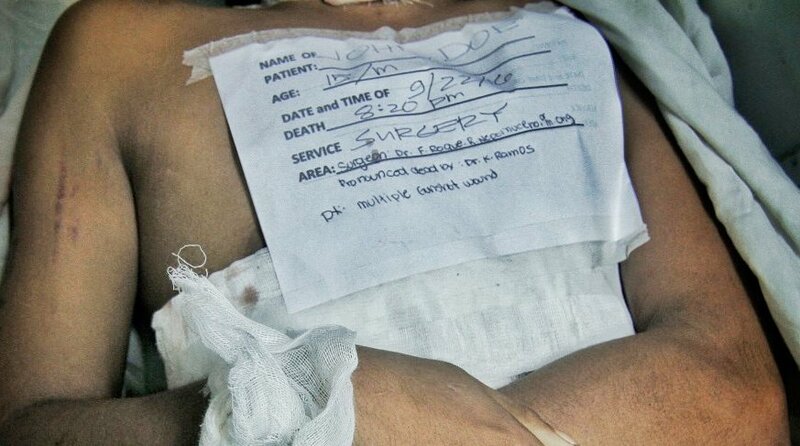 Unless you must, don’t visit the Philippines. 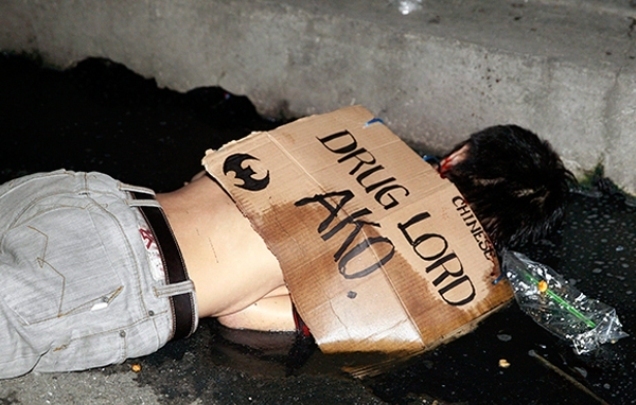 Philippines Justice Secretary Vitaliano Aguirre II (co-accused in crimes against humanity, D.O.B October 16, 1946) has said you are not human and implied that you deserve to die if he hears someone say that you used drugs. Do not come to the Philippines. It is no longer a safe country for numerous reasons, not the least of which are the widespread murders of people who fall into a certain social class or who criticize the government. That has happened ten thousands of times. In Malabon, Philippines, Raymart Siapo, a student of the ‘Alternative Learning System’ was born with a congenital disease that gave him two club feet. At the end of March he was to be starting a new job, but that would not happen. 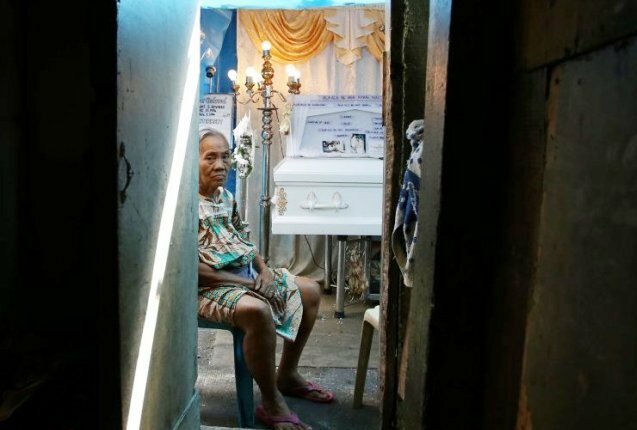 In the picture below you see Luzviminda Siapo, who like millions of Philippines women in this impoverished country, left her home and family to work as a domestic helper in another country. Mrs. Siapo sent all her money home and lived in a “servant” class of visa in Kuwait. She had to beg her employer on her knees to come to her teen son’s funeral this Easter. 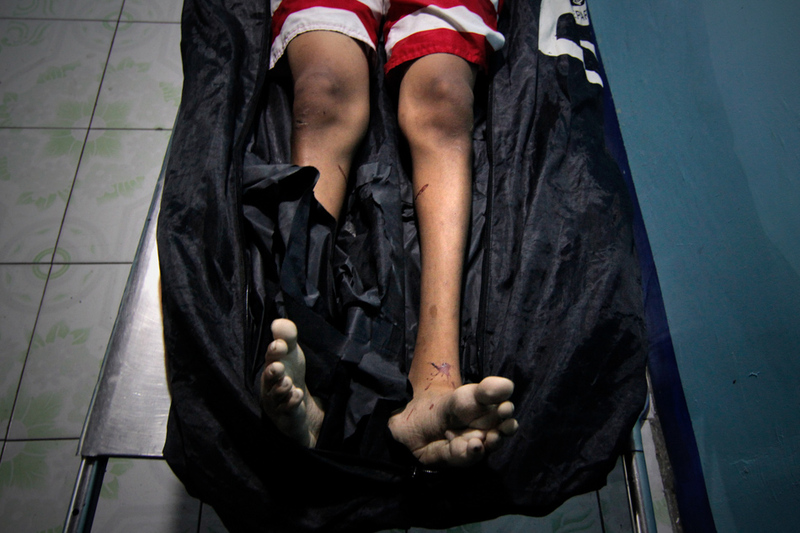 “Any closer look at this case would break your heart into pieces”, says Sharon Santiago, RINJ South East Asia manager. 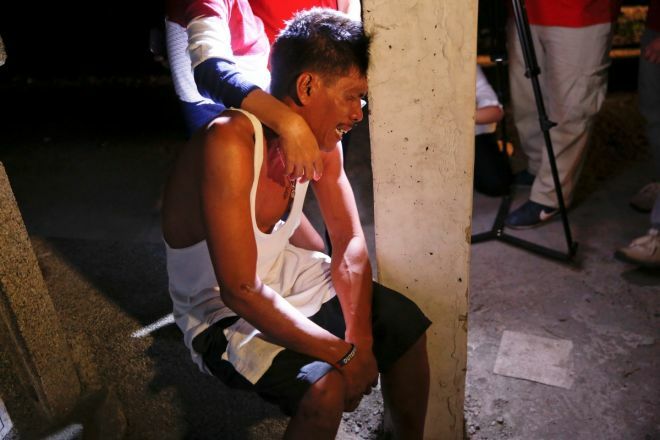 A meddling neighbour who thought that this innocent boy with his lurching walk and different mannerisms (in Philippines parlance: “PWD” – ‘person with disability’) was a drug user, called police who quickly put him on a list and killed him. 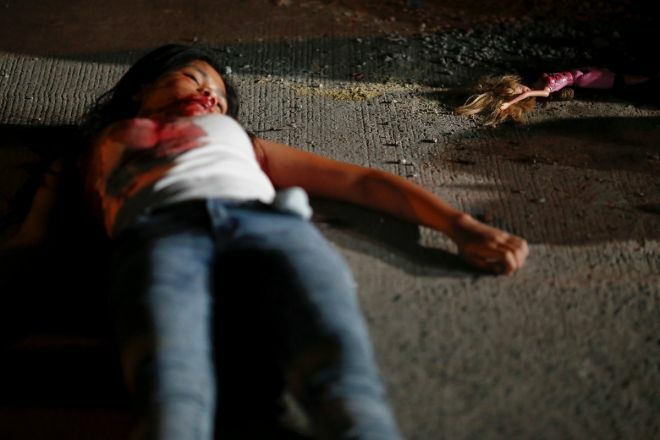 “These things happen fast because the payment from Duterte through the police for such a killing is high and the benefits attractive, even if shared”, notes Santiago. 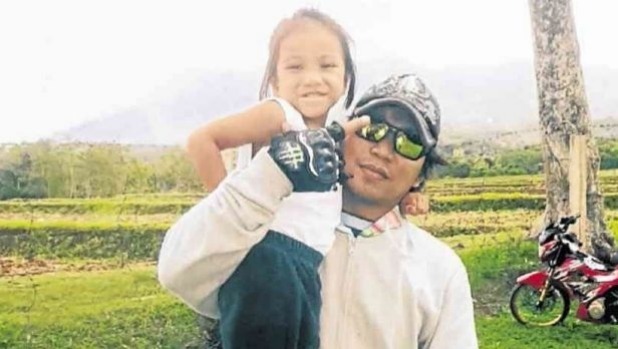 Raymart was abducted by motorcycle gun men as is so often the case in the thousands of extra-judicial-killings in the Philippines. He was taken to a bridge and sat down. He was cruelly told that he should run away. Of course he could not. Fourteen men surrounded this mobility-challenged teen at that bridge. How does anyone know that? You can’t keep 14 murderers quiet. 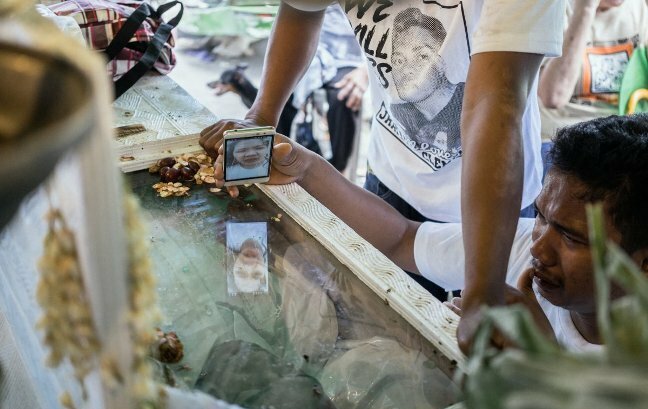 The innocent boy was mercilessly shot in the head twice. This is just one story out of thousands. Over thirty small children under 5 have been murdered because when the target is not available the gun men punish the target by killing his or her child. 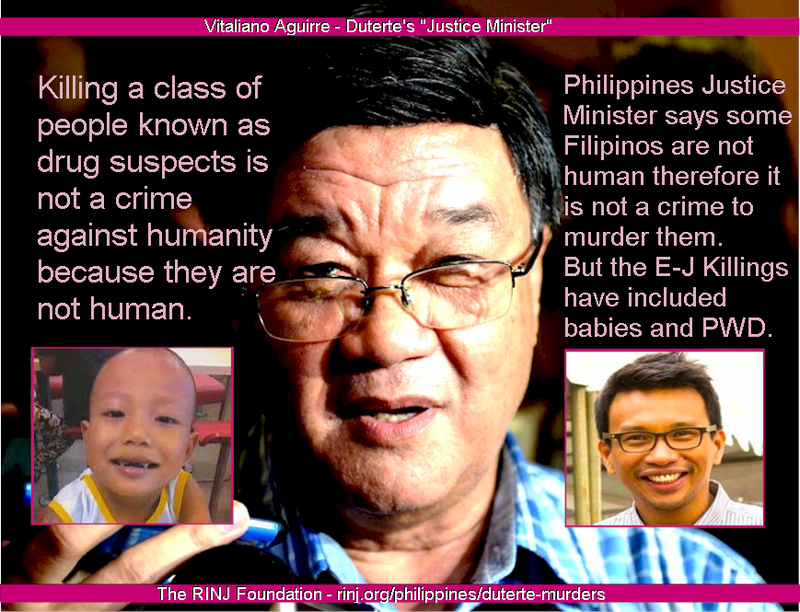 The most important modern law Duterte violated was the ‘crimes against humanity section‘ of the Rome Statute. Crimes against humanity are acts which are committed as part of a widespread or systematic attack directed against any civilian population or an identifiable part of a population. The Rome Statute was adopted at a diplomatic conference in Rome on 17 July 1998. It entered into force on 1 July 2002. 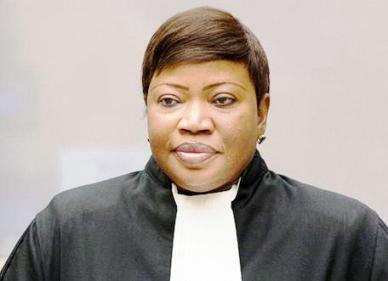 The Philippines is a signatory to the Rome Statute and member of the International Criminal Court. 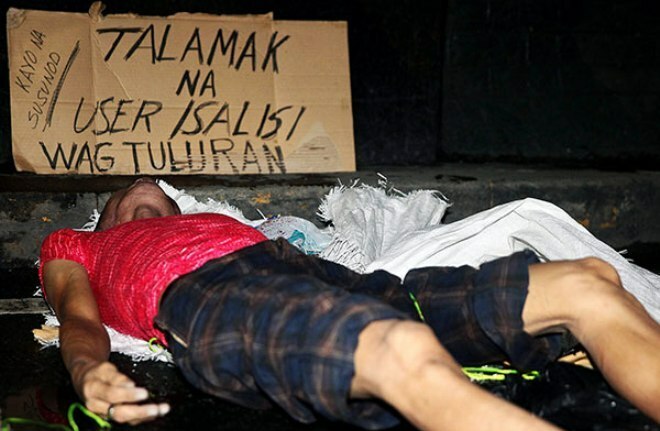 Philippines Justice Secretary Vitaliano Aguirre II has dismissed accusations that police killings of thousands of drug users may be crimes against humanity, stating that criminals were not human. In other words, how can that be when your war is only against those drug lords, drug addicts, drug pushers. You consider them humanity? I do not! 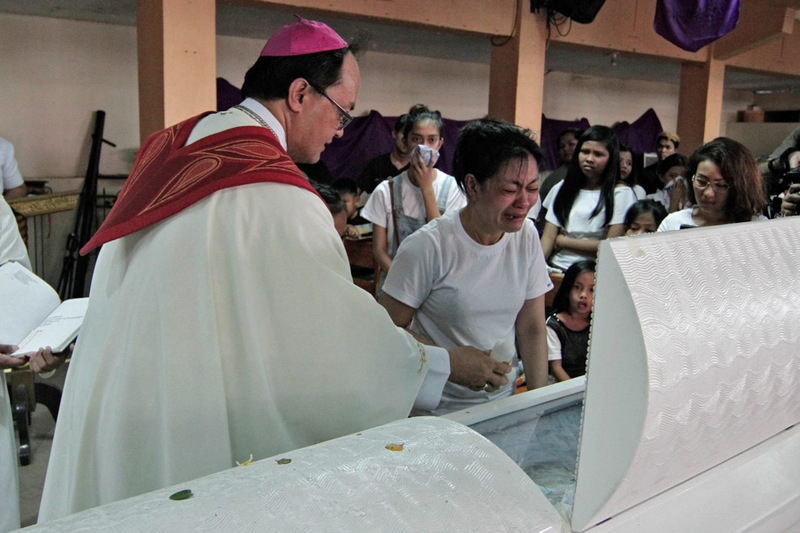 – Duterte’s Justice Minister told reporters in January 2017.